Find places to stay in Ventura, CA and other fun things to do. View our list of attractions, activities, events, restaurants and visitor information. Offering free breakfast free Wi-Fi free parking and a heated outdoor pool the non-smoking Amanzi Hotel provides cozy and affordable value just two blocks from the beach. Free Internet,Outdoor Pool, Non Smoking Rooms. Rooms with microwaves fridges and free Wi-Fi very affordable rates and a 10-minute drive to Surfer's Point are a few of our guests' favorite things about the non-smoking Bayshore Inn Ventura. Free Internet, Pets Allowed, Non Smoking Rooms. Currently as low as $226.88/night! Situated 43 km from Santa Barbara and 20 km from Ojai Beach Bungalow in Ventura Cabin offers accommodation in Ventura. Guests benefit from patio.The kitchen is fitted with a dishwasher an oven and a microwave and there is a private bathroom. Free Internet, Restaurant. Thanks to a heated outdoor pool free Wi-Fi and comfy accommodations the non-smoking Best Western Plus Inn of Ventura earns top marks from value-minded our guests. The low-rise Best Western has 75 updated rooms and suites accessed by exterior corridors. Free Internet, Swimming Pool,Outdoor Pool, Non Smoking Rooms. A boutique hotel in a 1940's Spanish-style building the Clocktower Inn features free breakfast free parking and charming accommodations in the heart of Ventura. Restaurant, Non Smoking Rooms. Thanks to a free hot breakfast free Wi-Fi and a location within walking distance of the beach Comfort Inn Ventura Beach is a great economy option for a leisure or business stay. Free Internet, Non Smoking Rooms. Offering a beachfront location a heated outdoor pool and a bar and restaurant with ocean views the dog-friendly Crowne Plaza Ventura is a scenic and relaxing option that's popular with our guests.Outdoor Pool, Restaurant, Pets Allowed, Non Smoking Rooms. Less than a mile from the beach with low rates given amenities like large flat-panel TVs and free in-room Wi-Fi the Crystal Lodge Motel where pets are welcome for a fee is an affordable and convenient choice for travelers on a low-budget SoCal holiday. Free Internet, Non Smoking Rooms. Thanks to scenic views on-site restaurant and outdoor pool the non-smoking Four Points by Sheraton Ventura is a popular choice among our guests. Free Internet, Swimming Pool,Outdoor Pool, Restaurant, Pets Allowed, Non Smoking Rooms. Currently as low as $123.84/night! Spectacular harbor views with free breakfast and free Wi-Fi help make the non-smoking pet-accommodating Holiday Inn Express Hotel & Suites Ventura Harbor a popular choice for budget-minded our guests. Free Internet, Free Breakfast, Pets Allowed, Non Smoking Rooms. Offering free breakfast free Wi-Fi and a heated outdoor pool the pet-accommodating La Quinta Inn Ventura is a satisfying option for a Southern California getaway. Free Internet, Swimming Pool,Outdoor Pool, Free Breakfast, Pets Allowed, Non Smoking Rooms. Offering resort-style amenities including a tropical-style pool an on-site restaurant and a location less than one mile from the beach the non-smoking Marriott Ventura Beach is a popular place among our guests. Free Internet, Swimming Pool,Outdoor Pool, Free Breakfast, Restaurant, Pets Allowed, Non Smoking Rooms. Free Wi-Fi and comfortable rooms with cable TV are what guests can expect at the non-smoking Mission Bell Motel a historic hotel in Ventura 10 minutes from sand and surf. Free Internet, Pets Allowed, Non Smoking Rooms. It's an easy walk to the beach from the low-priced and convenient Motel 6 Ventura Beach. A free morning coffee and stroll along the beach is how many guests at this two-story motel start their day.Outdoor Pool, Pets Allowed, Non Smoking Rooms. Just 10 minutes' walk from the Ventura Pier and San Buenaventura Mission Motel 6 Ventura Downtown provides free Wi-Fi and free parking for all guests. The Ventura Fairgrounds are 5 minutes' walk away. Free Internet, Pets Allowed, Non Smoking Rooms. A seasonal outdoor swimming pool available Wi-Fi free parking cable TV and affordable rates make Motel 6 Ventura South a fun budget-friendly choice for our guests.Outdoor Pool, Pets Allowed, Non Smoking Rooms. 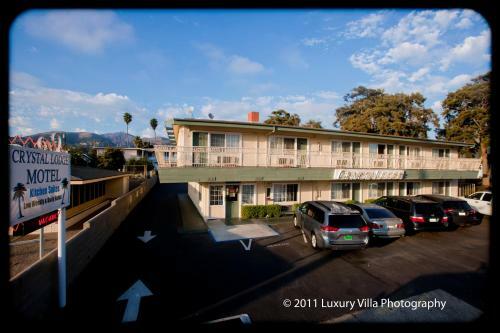 Free Wi-Fi free parking cable TV with HBO and super-low rates make our guests happy at the Rex Motel a mile from San Buenaventura Beach. The motel's 18 ground-floor rooms offer microwaves mini-fridges and flat-panel TVs with HBO. Wi-Fi is free throughout the property. Free Internet, Non Smoking Rooms. Currently as low as $107.50/night! Offering free breakfast free Wi-Fi and a convenient location near area beaches Rodeway Inn Ventura provides affordable value for a business or leisure stay. Free Internet, Non Smoking Rooms. The Shores Inn features accommodation in Ventura. This 2-star motel offers free WiFi. The rooms are fitted with a TV with cable channels.Guest rooms at the motel are equipped with a seating area. The private bathroom is fitted with a bath or shower. Free Internet, Pets Allowed. Within walking distance of both the beach and downtown Ventura and offering some of the lowest rates around the Travelers Beach Inn serves up convenience to travelers on a tight budget. Free Internet,Outdoor Pool, Non Smoking Rooms.